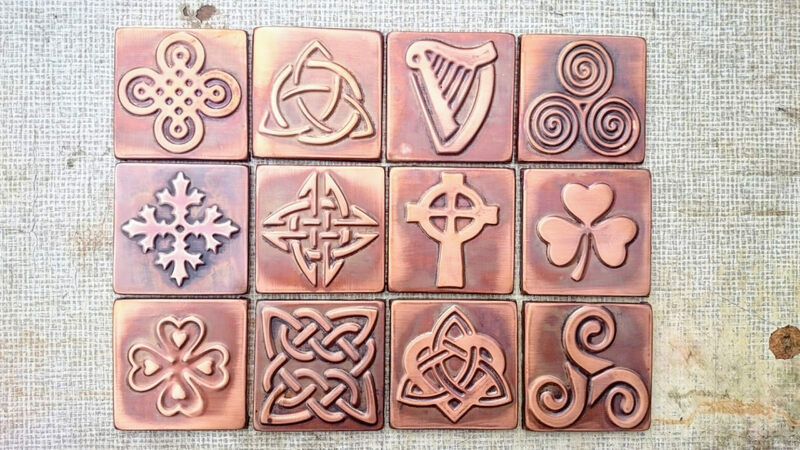 Set of 4 celtic designs tiles. Please contact after purchase which design you like. If you want to buy all 12 designs, you will need to order quantity 3. Renaissance Wax British Museum quality microcrystalline wax to protect our patinated tiles. Copper will slowly and beautifully age over time. We useSoft cloth, mild soap and luke warm water is best for cleaning. We do not laquier our products.